that were practically made to be Pop! PEZ dispensers. Everybody's favorite blue hound, Huckleberry Hound is available and Snagglepuss, the dapper pink mountain lion, makes for an adorable candy dispenser. 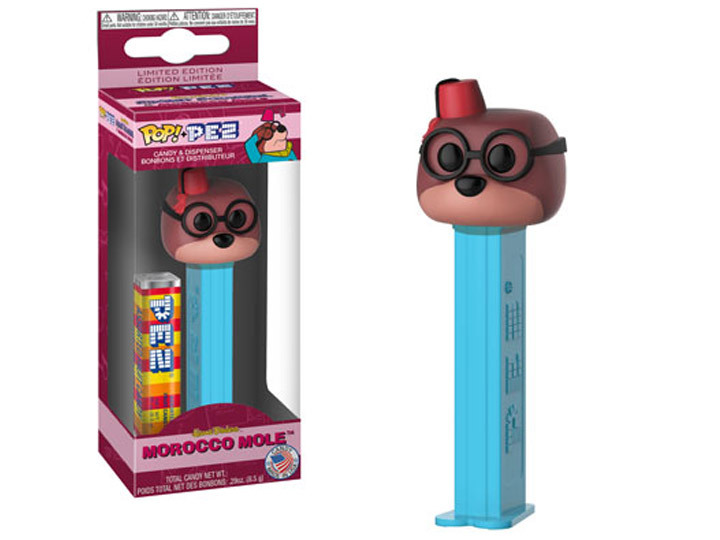 Secret Squirrel, alias Agent 000 is potentially the first undercover Pez candy dispenser while his sidekick Morocco Mole manages to dispense candy while wearing his characteristic red fez.